Jordan has been asking for a fox, bunny, ferret, small animals of all sorts for the past two years but this past couple months shifted gears to Holland Lops and Mini Lops. He has spent hours on YouTube learning about them, figuring out what color he wants, getting all the stats on them and searching to buy them. I too had been secretly searching as well and found several breeders in our area but none that had Lops. I finally found a lady who has a small family farm just south of Montgomery, AL and she had just the bunny for Jordan. She said she has never had one with the coloring this bunny has and her coat seems to be changing too so it will be fun to see what her fur will look like later on. The lady was planning on coming up to Birmingham for an appointment so she offered to bring the bunny and meet me to get her. 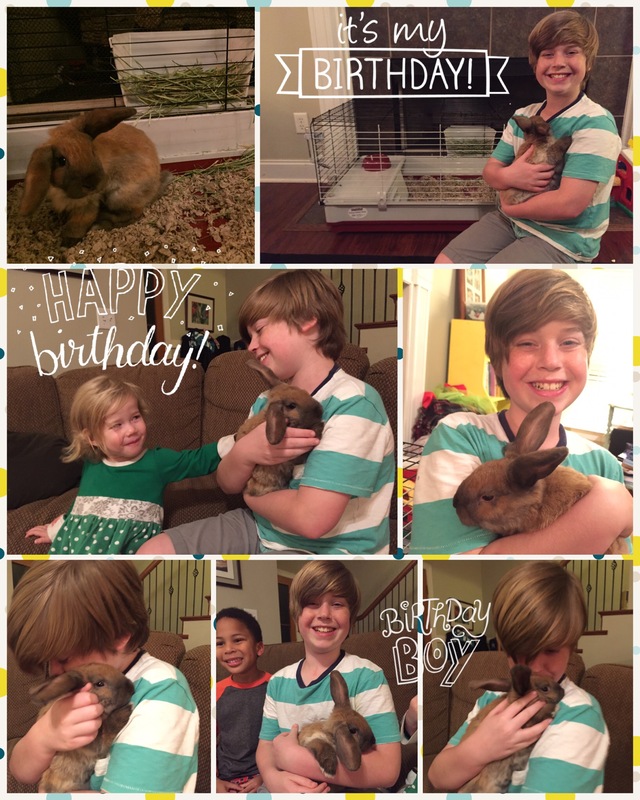 It was a perfect arrangement and it gave us the element of surprising Jordan a bit early with his long awaited birthday bunny! Also the bunny cage or Rabbitat arrived the night before so everything was in place for getting the bunny the next day. To say he was suprised is an understatement, he was literally speechless! He couldn’t believe he was really seeing, holding a live bunny and she belonged to him! It was really sweet. Bunny is also super sweet and cute as can be and has gotten used to all of us and made herself at home hopping and doing running side kicks in the living room. She’s even litter trained and I seriously haven’t found one drop of poop any where in the house other than her cage. As for a name Jordan is still working on that. For now we just call her Bunny. 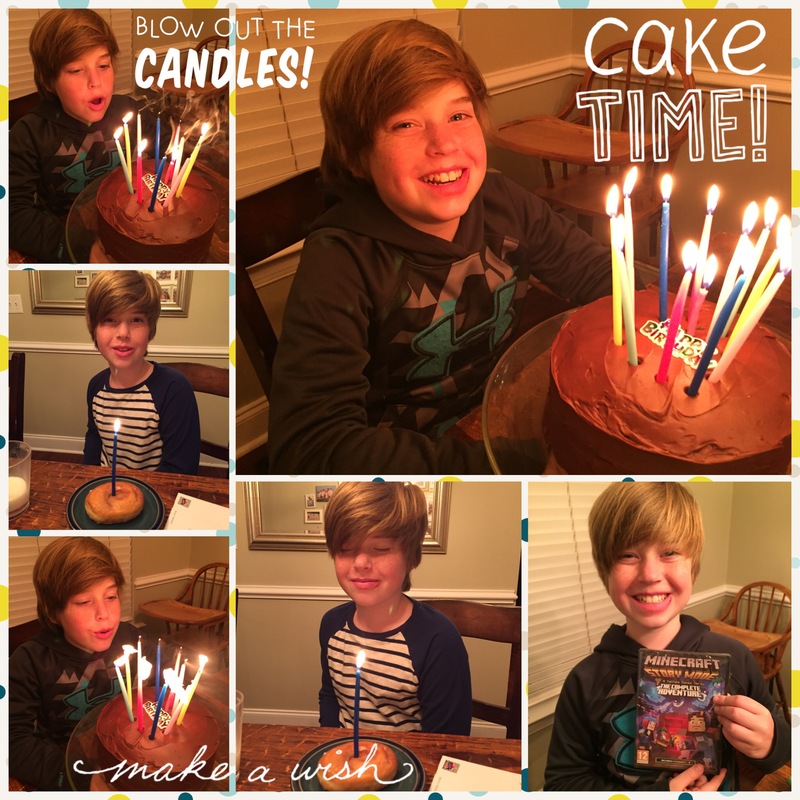 Happy 12th Birthday Jordan we love you so very much!